Looking for a simple sewing project that's perfect for beginners or children? 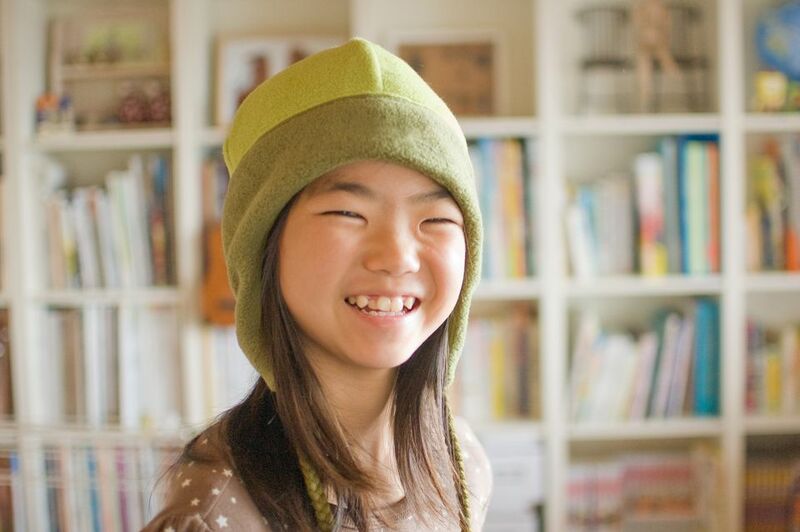 Discover how easy it is to make a hat using little more than a hunk of fleece, a needle, and some thread. If you can sew a straight line, you can make this hat. It's also a fun and functional homemade gift. This craft is appropriate for children ages six and up and will take about thirty minutes to complete. Using a sewing machine will make this project go much faster, but it's not necessary. Note: Fleece is a wonderful, soft, washable fabric, but it can be challenging for beginners because of its bulk. When working with fleece, you need to use top quality tools. If you use a sewing machine start with a new needle and use strong polyester thread. As you sew, be aware of any bits of fiber particles that may fray from the fleece, these should be cleaned off the sewing machine to avoid clogging. Start out by measuring around the head of the person who will wear the hat; add an inch to this measurement. Cut a piece of fleece that long by about 26 inches wide. Instead of using scissors, you might want to use a rotary cutter and mat if you have them. Save your scraps. Be aware that fleece can be stretchy, so measure it carefully. Lay the fleece on your work surface, fold up one side so your piece is 26 inches tall. Line up both long edges. If your fleece has a right side, make sure the right side is in when you fold your fleece (fleece curls toward the "wrong" side, making it easy to tell which side to use). Sew these long edges together forming a long tube, leaving about a 1/2 inch seam allowance. You can easily sew this by hand using a straight stitch. You can also sew this on a machine if you like. Now, fold up one end of the tube and match up the two raw edges. The raw edges of the seam you just sewed should be on the inside. You should now be able to fit the folded edge on your head, and the raw edges will stick up. Cut a piece of your scrap fleece about inches by eight inches. This part is easier if you put the hat on some else’s head. Gather the raw edges along the top of your hat and tie the eight-inch piece of fleece around it like a ponytail. Finally, use the scissors and cut one-inch wide strips in the raw edges to make it look like a big pom-pom on top of your hat. Trim the fringes down, so they are three to four inches long.